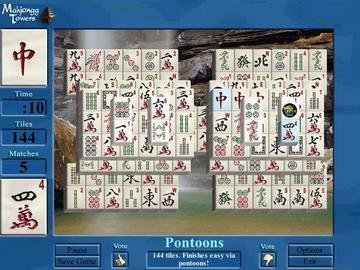 Mahjongg Towers will keep the best Mahjongg masters busy for months. 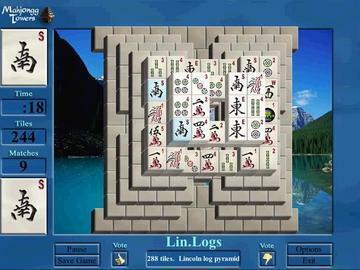 You can play the traditional 144 tile layouts, or step it up with the Towers, offering up to 432 tiles and nine levels. Stay entertained with game play variety that ranges from quick 80-tile diversions, to grand master towers that keep you clicking for up to an hour on a single layout. Mahjongg Towers lets you enjoy triple height and triple tile set tower boards, edit the tile layout on any board, create your own boards with any amount of tiles and levels, or upload the boards you create and share them with other players. 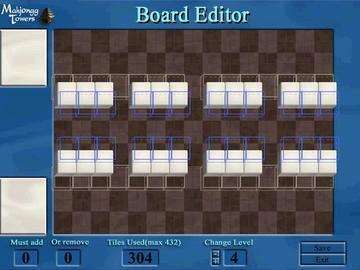 Plus, you can download other players' boards! You'll be constantly challenged with global and local high-score lists for each board.